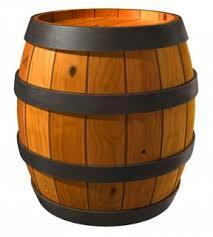 The 3rd Thursday evening of each month will be designated sermon in the barrel night. The youth are invited to put what ever they want in the barrel and on the 3rd Thursday of each month one of the youth will be blind folded and allowed to draw one item from the barrel this in turn will be presented to Pastor Steve and he must develope a sermon around the item drawn from the barrel. The evening will begin with the meal at 6:00 P.M. followed by the message at 7:00 P.M. The Just As I Am Cowboy Church worship team will practice every Sunday evening at 4:00 P.M. at the barn (church). If you or someone you know would like to participate in this ministry please contact Pastor Steve Miller at: 660-327-1308 or email kingstitches@gmail.com or text: 573-819-5095 for information. For directions to the church click HERE. Sunday September 10th 2017 a Sunday evening service will begin. It will begin at 6:00 P.M. with a lite supper with bible study to follow. The bible study will begin in James. Join us for a informative evening of studying God’s word. You can find directions to the church by clicking HERE. Sunday Morning Service, Sunday School 10:00 am Church 11:00 am. At The Barn, 23410 Monroe RD 840 Paris, Missouri. Directions to the church can be found by clicking HERE! Eat at 6:00 pm Service 7:00 pm Located At The Barn 23410 Monroe RD 840 Paris Missouri. Directions to the church can be found by clicking HERE!! © 2013 Uplift. All Rights Reserved.